Ogre Taskmaster ($0.19) Price History from major stores - Portal Second Age - MTGPrice.com Values for Ebay, Amazon and hobby stores! 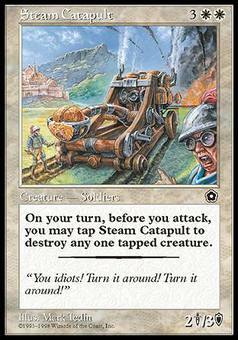 Card Text: Ogre Taskmaster can't block. 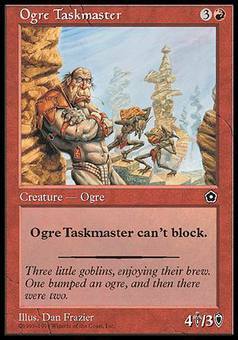 Flavor Text: Three little goblins, enjoying their brew. One bumped an ogre, and then there were two.